Today, the highly-anticipated OnePlus 5 finally broke cover. Staying true to the "Never Settle" slogan, the new flagship packs the latest Snapdragon chipset, ungodly amounts of RAM, an intriguing dual-camera composition, and a refreshed design. 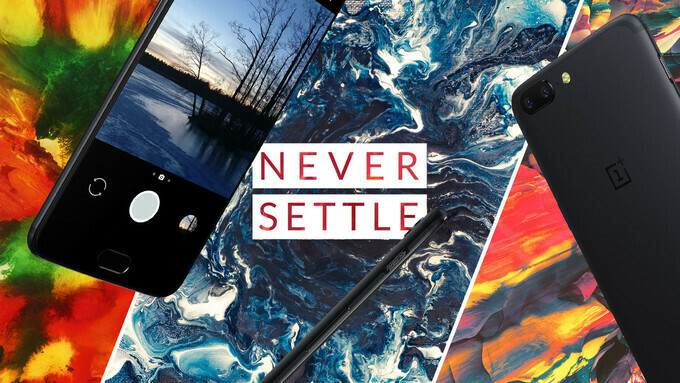 Many fans of the brand will be eager to receive their very own OnePlus 5 unit, and fortunately, the wait won't be long. The European and North American release date is set for June 27th, merely a week away from the time of writing. Those of you who do not want to wait until then can order the phone straight away with the Early Drop offer, but act fast, as the larger Midnight Black version is already out of stock. That being said, there is another, faster way of getting your hands on a OnePlus 5. The company is actually holding the so-called "Pop-up" events around various major cities around the world. There, apart from getting "exclusive swag", you will also have the chance to buy the handset right away, without the need to wait for it to ship. Before we review the times and locations, keep in mind that you might have a tough time going in, as such events tend to draw in big crowds. Don't say we didn't warn you! I already ordered it, should arrive on friday. I'm just trying it and if I'm not satisfied, I'll return it.